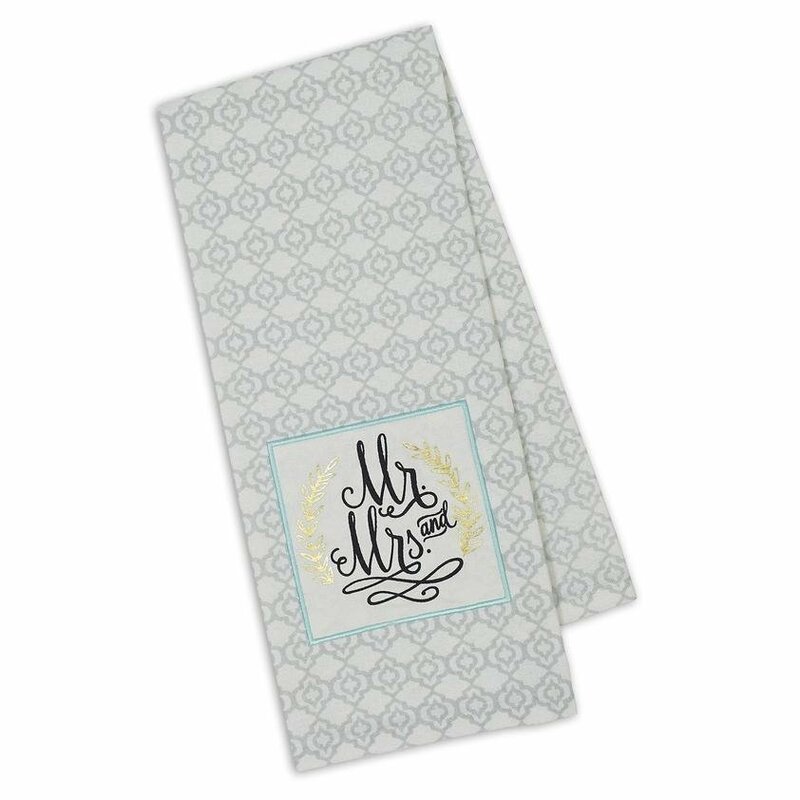 Wedding gift dish towel embellished with a gold leaf enclosing the words Mr and Mrs forms a beautiful monogram design. Dishtowel measures 18 x 28". 100% Cotton. Machine wash cold separately • Gentle cycle • Tumble dry low • Low iron.